I’ve mentioned before that no Wiley can resist the combination of chocolate and peanut butter. So what better dessert to serve after our cookout than one featuring this duo? 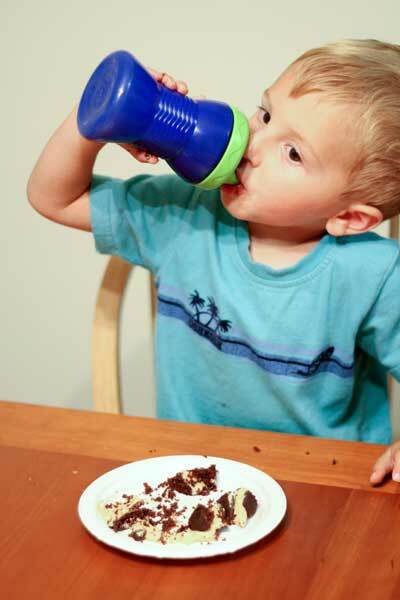 Also important to note: Whoopie pies are always washed down with a glass (or sippy cup) of milk. In another bowl, beat butter, shortening, and sugar with a mixer on low until just combined. Increase speed to medium and beat for about 3 minutes. Add egg and vanilla and beat for two more minutes. 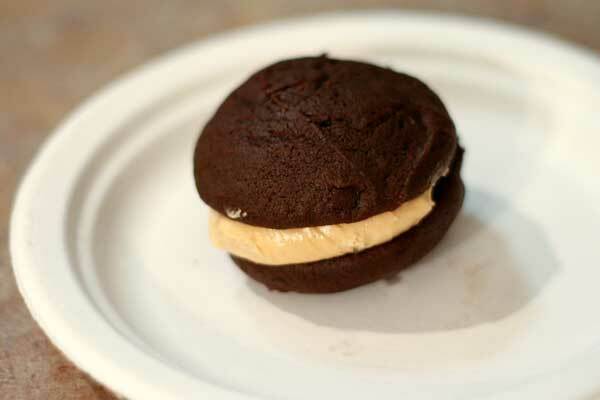 Confession: I’ve never had a whoopie pie! But by the looks of them I need to asap. Yes, you must try them! I actually prefer the classic chocolate pie with white frosting, but these were also delicious. And during the fall, I always make at least one batch of pumpkin whoopies.